*Results may vary, Lori H., Vancouver, WA. Energetic, healthy, thankful, and happy. These are all things I of related to my experience since my Lap Band Surgery in Sept 2009. I didn’t realize how bad I felt before…now I have the energy to do a better job at work and get through the day no matter what is on my agenda. I also have the energy and strength to keep up with my friends. 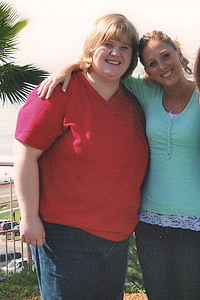 I have been on a weightloss rollercoaster (lose weight then gain it back with friends) for as long as I can remember. I have now lost 130 lbs from my highest weight and am within 10lbs of what the BMI suggests for a healthy weight… I never thought this would be possible, really! Thanks to the support of family and friends, Drs. Patterson and Raum I have my life back. I just wish this had happened 10 years earlier, however, if I had not come to the end of myself and been ready I don’t know if I would have the same results. This decision to have the Lap band was a personal decision and one not made over night…and I have to say looking back and where I am today…I was the best decision of my life. Like I said before I really didn’t get how bad off I was prior to my surgery. 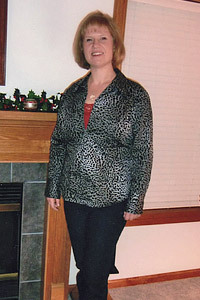 I had elevated blood pressure, Polycystic Ovarian Syndrome (PCOS), and high triglycerides. My blood pressure is now essentially normal, the symptoms of PCOS are gone, and my triglycerides went from a scary 200 to the 80’s!!. I can now focus on exercise, eating a balanced diet, and gaining muscle mass to maintain my healthy lifestyle in the years to come. The lap band is not a cure but a tool for weight loss. I call it built-in portion control. It does not change your brain(oh, how I wish it did) so you must be observant of the food that you eat is high quality and not high calorie liquids…or you will not get anywhere with this. Thankfully for the first time in my life I feel like my hunger is controlled and I am well on my way to a long healthy life!! * Please note – Results and individual symptoms may vary.